California corporation Navdy, Inc. offers the first smartphone integrated and dashboard mounted heads-up display for drivers. This allows drivers to experience fighter jet like visuals in any vehicle. 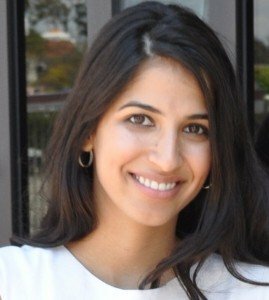 The The San Francisco based startup has recently raised $4 million in Series A funding from Rubicon Venture Capital. Statistics show that smartphone and navigation use while driving create major distraction that leads to thousands of accidents per year. In an attempt to reduce the accident rate, many auto manufacturers created navigation systems that cannot be used while a car is in motion. That, however, has resulted in frustration for the millions of drivers who need access to their navigation while driving. According to Navdy CEO and co-founder, Doug Simpson, he and his team of inventors, engineers and designers have developed a product potentially capable of significantly reducing the number of cellphone and navigation related auto accidents. Company CTO and co-founder Karl Guttag used his experience working as a serial inventor to develop the technology used by Navdy. 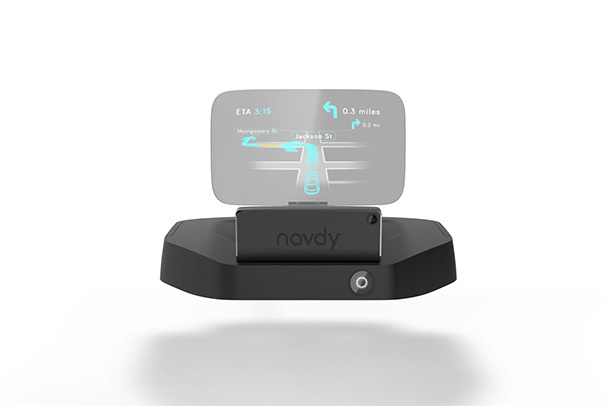 To provide users with a high-resolution transparent heads-up display similar to that used by commercial pilots when landing their planes, Navdy has created a device that sits on a vehicles’ drivers side dashboard and is operated through both voice and gesture recognition. The HUD technology is important to keep drivers focused on the road ahead of them, rather than being distracted by external factors like a cellphone or navigation system. Navdy connects to users’ smartphones (currently only iOs and Android operated phones) through Bluetooth and is powered through the vehicle’s on-board diagnostics (OBD) port. The device is capable of performing many tasks including reading and replying to text messages, receiving phone calls, providing turn-by-turn navigation and even relaying information about the vehicle’s mechanisms. 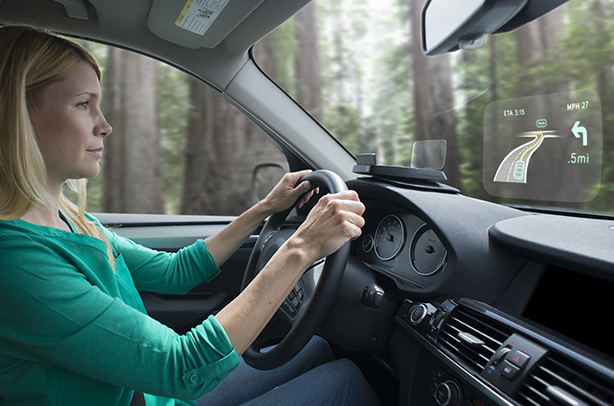 Navdy communicates with users’ vehicles through the OBD port. The port outputs information regarding a vehicle’s speed, mileage, check engine status and much more. The information can then be displayed on the HUD screen according to users’ preferences. Users can elect to prioritize different information that can be made available at all times. Navdy also has a split screen option that allows users to run their navigation simultaneously with other features. The 5.1 inch Navdy screen has no buttons. 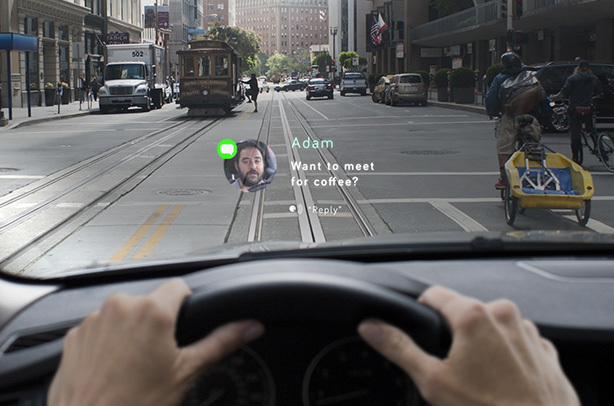 Therefore, while driving, users can only command the device using their voice or hands free gestures. Users who need to adjust preferences or install new applications can do so through their smartphones when their vehicles are not in motion. Users can swipe left, right or give a thumbs up to answer and end phone calls, read text messages, or control music. Users can not only play music using gestures but pause, stop, skip and repeat songs as well. Unlike previously released and cheaper HUD systems, Navdy is compatible with other devices and applications. Therefore, users can do things like stream music or get directions using their favorite apps rather than relying on the HUD’s preferences. To learn more about this California startup company, visit the Navdy website.